From the let's christen the new site department... from peaking at number 1 on the charts... Common @ La Zona Rosa on Sept 16th. It's an official ACL Fest Aftershow... and whoa it's $30... get them here. Lonnie Rashid Lynn, Jr. (b. 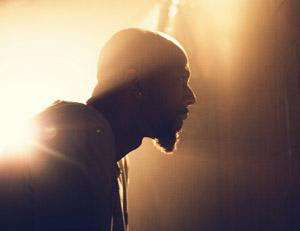 March 13, 1972 in Chicago, Illinois), better known as Common, is a Grammy-nominated American hip hop artist. He is best known for songs that focus on spirituality, poverty, and other issues to do with social awareness. Common debuted in 1992 with the album Can I Borrow A Dollar?, and maintained a significant underground following into the late 90s, after which he gained notable mainstream success through his work with the Soulquarians. His first major label album, Like Water for Chocolate, received widespread critical acclaim and moderate commercial success. Its popularity was matched by 2005's Be, which was nominated in the 2006 Grammy Awards for Best Rap Album. Common has also started a burgeoning film career, starting with a role in the action thriller, Smokin' Aces, which will be followed by a part in American Gangster.